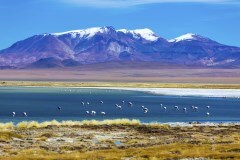 Extend your trip into one of our favourite hidden gems - Bolivia! A spectacular destination known for its colonial cities and the world's largest salt flat, Salar de Uyuni. Release your inner connoisseur on a 5-day trip to Salta, highlighting some of Argentina's finest wines in the most stunning surroundings. Add skiing to your bucket list of activities to do in Chile! Five hours from Chile, is Easter Island, which will astound you with its enriching history, language and culture. Later we take a walking tour through the Mercado Central, Chile’s largest fresh seafood market where you can try some of the local cuisine on offer. 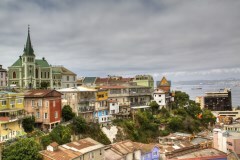 After breakfast, you will depart Santiago by first class coach and head over to the coast and explore one of the most fascinating cities in Chile; Valparaiso.‘Valpo’, as it is fondly known by locals, was declared a world heritage site by UNESCO, and it is not difficult to see why. Picturesque architecture and multi-coloured urban housing spread out over more than forty hills, creating one of world’s most eclectic, unique cities. You will visit the downtown area with its new government house, the Plaza Sotomayor, the Plaza Victoria, the cathedral and the harbour area. Afterwards, take a funicular up into the hills where there is a fantastic collection of brightly painted houses and a fantastic view over the city. Enjoy coffee in one of the many cosy restaurants before taking a stroll through the labyrinth of colourful streets lined with impressive street-art. From Valparaiso, you will head north to La Serena to spend your next three nights. The drive will take approximately five hours and upon arrival, you will have the evening to spend at leisure in La Serena. Famed for having the clearest skies in the southern hemisphere, La Serena is a cheerful place, a mix of chic seafront and artistic old town, surrounded by a mystical and remote area of stunning scenery that climbs east into the Andes. In the morning, you will begin a tour of lively La Serena and neighboring Coquimbo. Admire La Serena landmarks like the Monumental Lighthouse; step back in time at the Archaeological Museum; then browse for handicrafts at the vibrant Recova Market, one of the most famous in Chile. Then, head to Coquimbo to walk the seafront promenade, soak up the views across Guayacán bay and stroll the beaches of La Herradura. 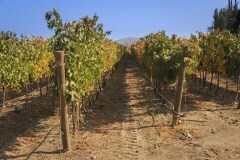 After free time for lunch (not included), you will be transferred to the Elqui Valley. Weather permitting, you will see the first glimpse of the Solar Eclipse. A picnic will be set up with local food and drinks while you discuss interesting topics with your guide. 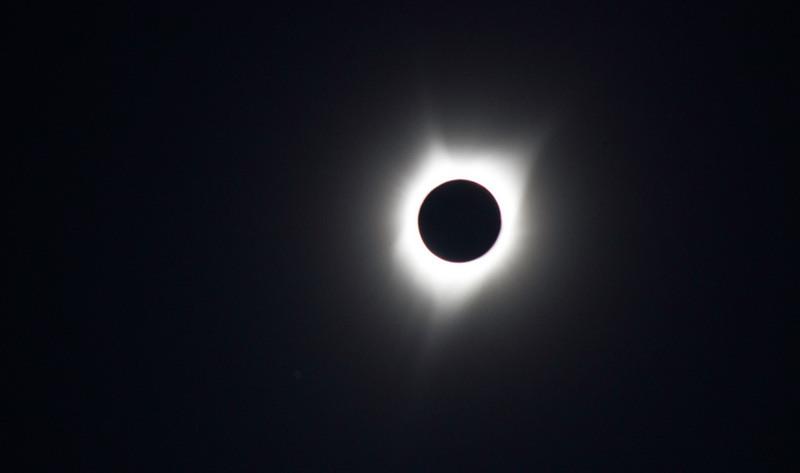 After the Solar Eclipse, if the sky is clear, you can enjoy some stargazing before returning back to your hotel in La Serena. Breakfast, afternoon canapes and drinks included. Today you will further explore the Elqui Valley and visit its picturesque villages such as Montegrande, Vicuña, Pisco Elqui which dot the valley’s cultivated slopes. This is also the heart of pisco grape growing country and a visit just wouldn’t be complete without a distillery visit and tasting. Discover how Chile's national drink is made and enjoy a tasting followed by lunch in a typically Chilean restaurant. Depending on availability, your guide may be able to arrange for a visit to an observatory for stargazing. The evening is at your leisure after returning to your hotel. After breakfast, you will be transferred back to Santiago, approximately five-hours following an afternoon flight to Calama, in the north of Chile. 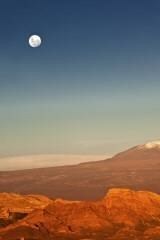 On arrival to the airport, a representative will transfer you to San Pedro de Atacama. This colourful village is located 2,440 m above sea level in the middle of a green oasis. Late in the afternoon, you will venture out to the mystifying Death & Moon valleys boasting incredible stone and sand formations. At sunset, take the opportunity to view the beautiful fading light over these vast landscapes. Today will begin with a tour of San Pedro de Atacama – the centre of a Paleolithic civilization that built impressive rock fortresses on the nearby mountains encircling the green valley. From there, you will take brief drive to reach the 3000 year old pre-Columbian village of Tulor. The archaeological remains that can be viewed here constitute the oldest evidence of human settlement of the valley. Afterwards, continue the morning tour to the Pukara de Quitor a fortress, which has seen many battles. In the afternoon, you will visit Toconao; a village where white volcanic stone sculptures are made by locals. Your final stop for the day will be at Atacama Salt Lake; an inland sea formed millions of years ago and an impressive sight dominated by rock formations and crystalised salt. Before the break of dawn, you will depart from San Pedro and head north to the famous El Tatio Geysers; a geothermal field flanked by soaring peaks. 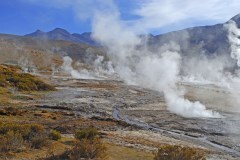 El Tatio is situated at 4,300m above sea level on the Altiplano. It is the highest geothermal field in the world and boasts spectacular scenery. Make sure to bring warm clothes as temperatures at this altitude are considerably low this early in the morning! At dawn, you will observe powerful spurts of steam that shoot out from various geyser blowholes and steaming ponds that are encrusted with brilliant salt crystals reflecting the metal-blue sky. After this nice visit to El Tatio, continue on a drive to the village of Machuca, also known as the resting place for llama caravans that travelled the Inca Highway. Return to San Pedro de Atacama and enjoy your afternoon at leisure. After breakfast, you will be transferred to Calama Airport where your tour ends. 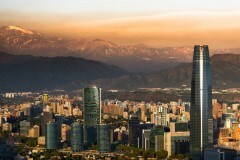 Take a departure flight back to Santiago, or alternatively, arrangements can be made with us should you wish to extend your trip in South America! 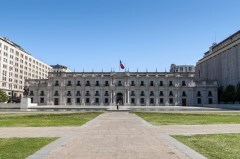 Internal flights (Santiago – Calama – Santiago) and airport taxes. 2 domestic flights estimated at US$500 per person and available to book in August 2018. The maximum group size for this tour is 20 people. For more information, please contact us. With respect to altitude the main points of concern are in the Elqui Valley where we expect to reach a maximum of 2,000 metres above sea level on day tours and around 2,400 metres above sea level in San Pedro de Atacama. These are not particularly high in terms of altitude and generally clients don’t experience issues until they reach 3,000 metres. The advantage we have is that throughout the trip any increase in altitude will be gradual which helps with acclimatisation. We do have a day tour in San Pedro scheduled to El Tatio which is above 4,000 metres however don’t spend much time there. If any clients are concerned about that particular day tour then we can swap it with another day tour offered in the region.